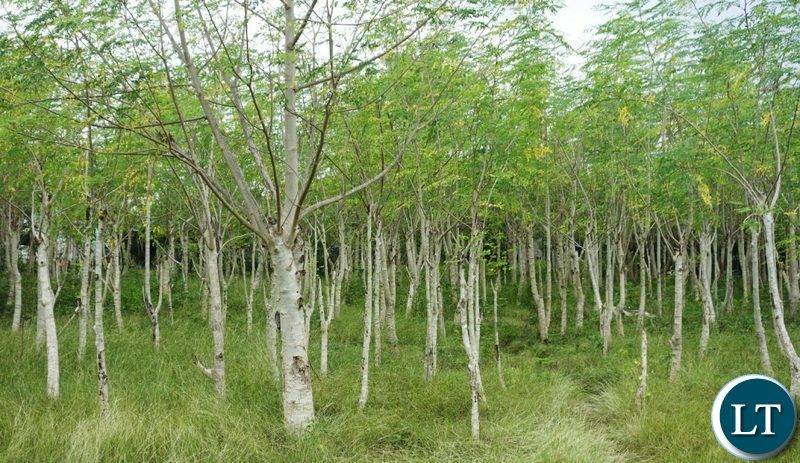 Communities around the Kansanshi Mine in Solwezi are being given moringa trees as part of a village nutrition programme to improve the nutrition levels of the local population. Seeds have been distributed to 2,800 farmers under Kansanshi Foundation’s conservation farming programme, which farmers have propagated in their own sleeves and planted out. The foundation, which is part of First Quantum Minerals (FQM) is looking at how the crop can be grown at household level to enhance food security, while improving nutrition in communities. “It’s a difficult crop to establish, but the whole premise of this project is based on the correlation between nutrition and education. We will provide seeds and training to the farmers on how to grow, harvest and process moringa,” said Mr. Lewis. Since project inception in the 2010/2011 season, more than 30,000 farmers have benefited from the conservation farming programme. In the last nine farming seasons, FQM has concentrated on improving people’s livelihoods in terms of agriculture. Its sustainability programme has helped ensure easy access to the best farming practices for communities around its Kansanshi mine in North-Western Province and Sentinel Mine at Kalumbila. The company has spent over US$43 million on its sustainability and community development programmes by aligning its Kansanshi and Trident foundations’ programmes to the United Nations Sustainable Development Goals. The overall objective of its socio-economic development programmes is to improve the quality of life for its employees, their families and their immediate communities. “FQM takes the continuity of sustainable development programmes in local communities very seriously. It is essential that we continue with the critical programmes so that we do not lose the progress we have made in our local communities over the last decade,” said Mr. Lewis. I am patiently waiting for that day when we will be given herb seeds to grow. Honestly why should Zambians be gifted a tree that grows in the country freely? Anyway, they give other useful gifts.